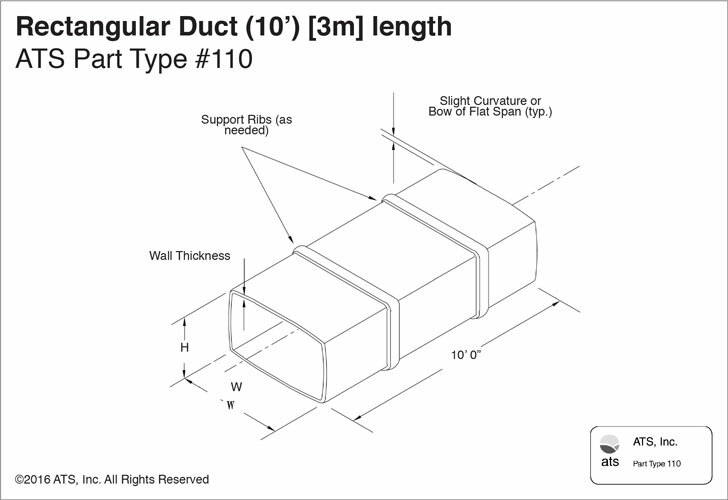 ATS standard rectangular duct length is 10’–0”. 20’–0” lengths are also available when the widest span is not greater than 54”. Please specify rib locations, if the standard locations (shown above) conflict with your system design. NOTE: on a 10’ length ribs are located 2.5’ from each end. If system vacuum will exceed 14” W.C., contact ATS because rib spacing will need to be modified. 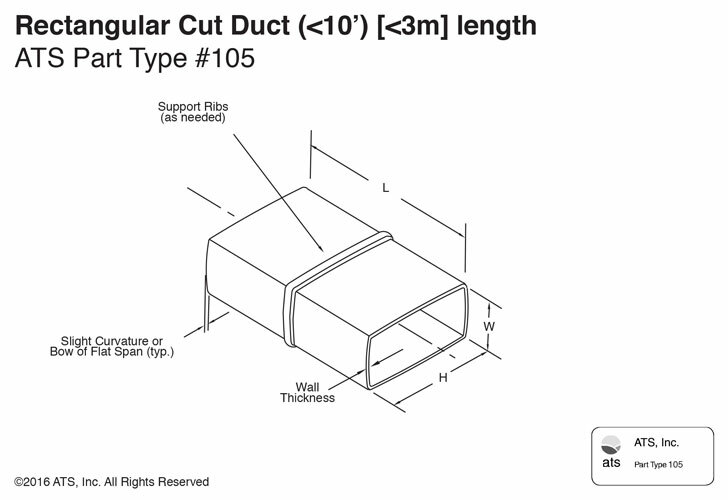 For more information on other ATS rectangular ducts, please refer to the part types: #105–Rectangular Cut Duct and #109–Rectangular Cut Duct (20’) [6m].